Its been a long time, we haven’t heard anything about JAWA Motorcycle, but now after a long span of 23 years, it returns with a bounce back. Firstly, the heartiest Congratulations to JAWA Motorcycles for their comeback and the best thing which they are still following is the legacy of JAWA Motorcycles. Their main focus with the new JAWA Motorcycles is to retain most of the aesthetics of the old vintage Jawas. JAWA Motorcycles come up with there 3 models which are JAWA, JAWA 42 & JAWA Perak. Perak is a basically a factory custom also it will be available a little later. In this launch event, Anupam told that there is a story behind each bike, its just not a bike, its an emotion. Now let us just carry forward onto the bikes. 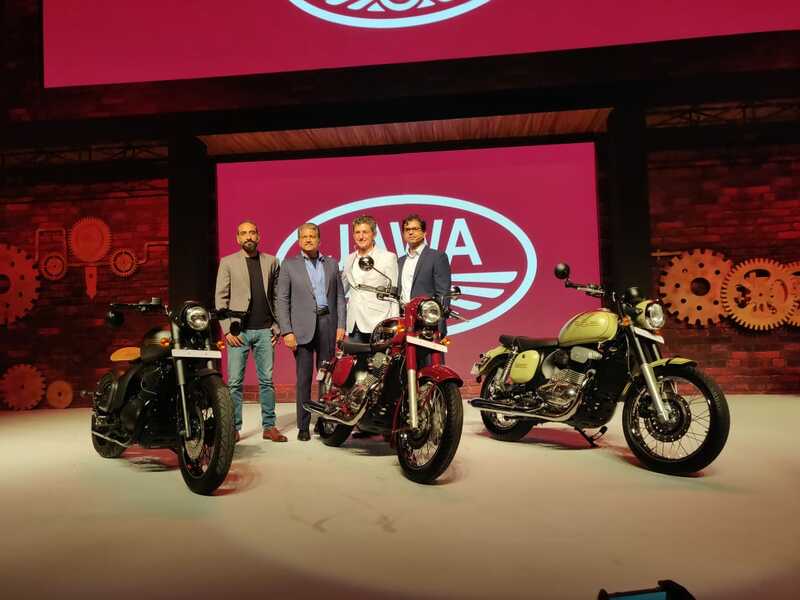 The three models are, Jawa priced at Rs. 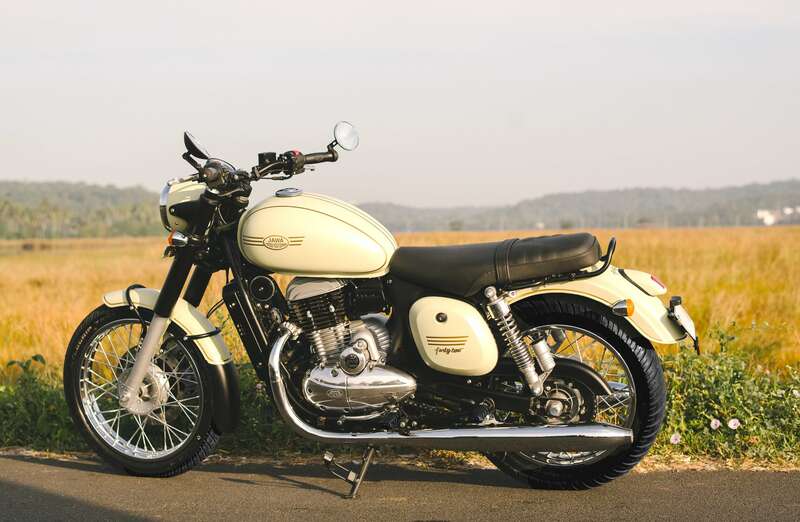 1.64 lakh, Jawa 42 priced at Rs. 1.55 lakh and a factory-customized the Jawa Perak, which is priced at Rs. 1.89 lakh (All prices are ex-showroom, Delhi). 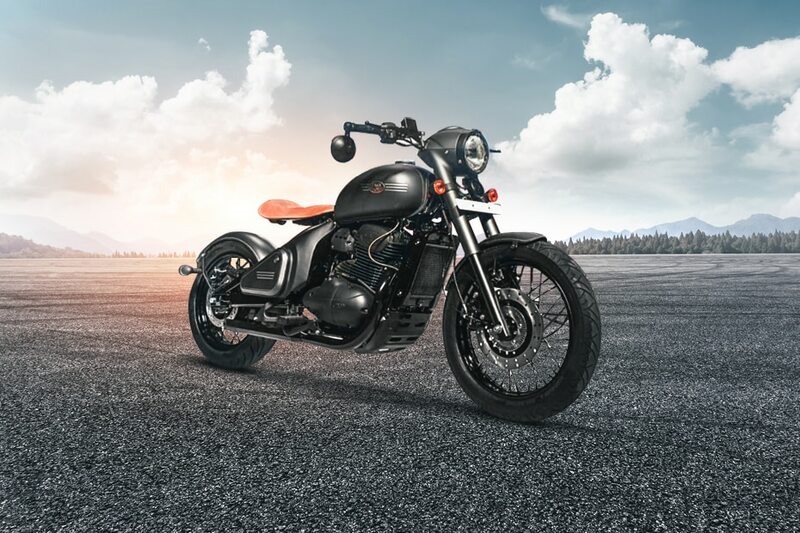 JAWA Motorcycle comes with BS-VI Engine, 293 CC, Single-Cylinder, 4 Stroke, Equipped with Liquid Cooling, DOHC, Twin Exhaust & constant Mesh 6-speed gearbox and double overhead cam engine with a double cradle chassis. The new Jawa Motorcycle comes with the all-new Telescopic Hydraulic Fork at the front and Twin Shock Hydraulic at the rear. Also, the all-new Jawa Motorcycle comes with 280mm disc with Floating Calipers and ABS ( Anti-Locking Brake System) at the front which is a very good thing and Drum brake of 153 mm at the back. The all-new JAWA FORTY TWO, It’s a new kind of hybrid. It’s the new generation Jawa with the same rugged reliability with a completely different and fresh modern look. Premium Italian engineering pairs the elegance of sleek lines and graceful curves with an uncompromisingly robust design make it look stunning and the chrome finish gives it a royal look. 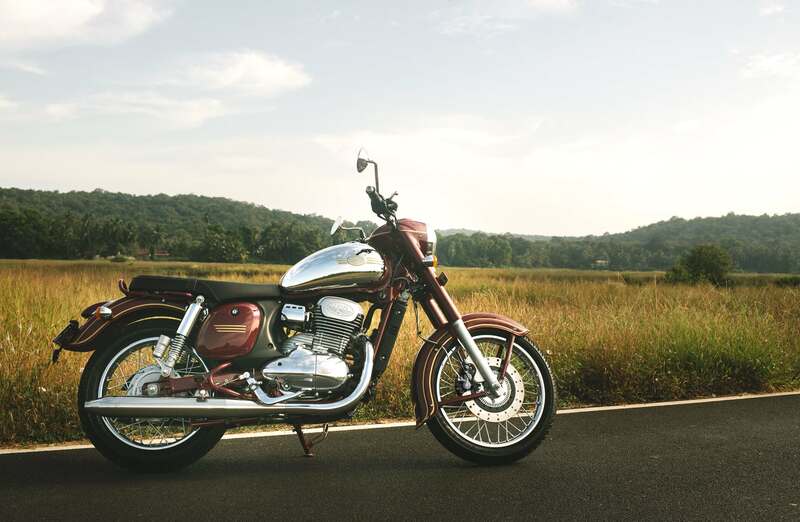 JAWA Forty Two comes with BS-VI Engine, 293 CC, Single-Cylinder, 4 Stroke, Equipped with Liquid Cooling, DOHC, Twin Exhaust & constant Mesh 6-speed gearbox and double overhead cam engine with a double cradle chassis. The new Jawa Forty Two comes with the all-new Telescopic Hydraulic Fork at the front and Twin Shock Hydraulic at the rear. Also, the all-new Jawa Motorcycle comes with 280mm disc with Floating Calipers and ABS ( Anti-Locking Brake System) at the front which is a very good thing and Drum brake of 153 mm at the back. The seat height of Jawa Forty Tow is a little lower than Royal Enfield Classic 350 which is 765mm. And the wheelbase is 1369mm. Again the Jawa motorcycles have an advantage of less kerb weight in regarding of Royal Enfield Classic 350 which is 170kg. Also, the fuel tank is of 14L. The Jawa Perak, a perfect factory customized bike. The Jawa Perak has not been launched yet, it is expected to be launched in February 2019. JAWA Perak comes with BS-VI Engine, 334CC, Single-Cylinder, 4 Stroke, Equipped with Liquid Cooling, DOHC, Twin Exhaust & constant Mesh 6-speed gearbox and a double cradle chassis. The new Jawa Perak comes with the telescopic Hydraulic Fork at the front and Mono Shock Hydraulic at the rear. Also, there is 280mm disc with Floating Calipers and ABS at the front which is a very good thing and Drum brake of 153 mm at the back. The seat height of Jawa Perak is a little lower for the lower center of gravity which is 765mm. And the wheelbase is 1369mm. So the maximum things are the same but the power and torque are increased in regarding Jawa and Jawa Forty Two. It’s expected price is 1.89 lakh (Ex-Showroom Delhi). So I hope you enjoyed the blog also if you want to see some more interesting blogs then click here. Previous: Previous post: Sanjay Dutt daughter Trishala Dutt looks hot now. Next: Next post: Ways to Impress your crush. Ways to Impress your crush. Sanjay Dutt daughter Trishala Dutt looks hot now.